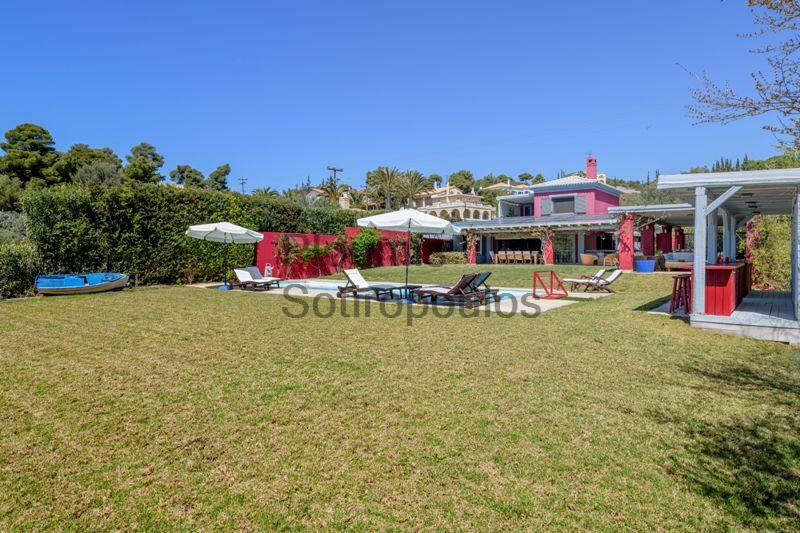 A short walk from the port of Kosta, this elegant villa of 270m² was built in 2009. 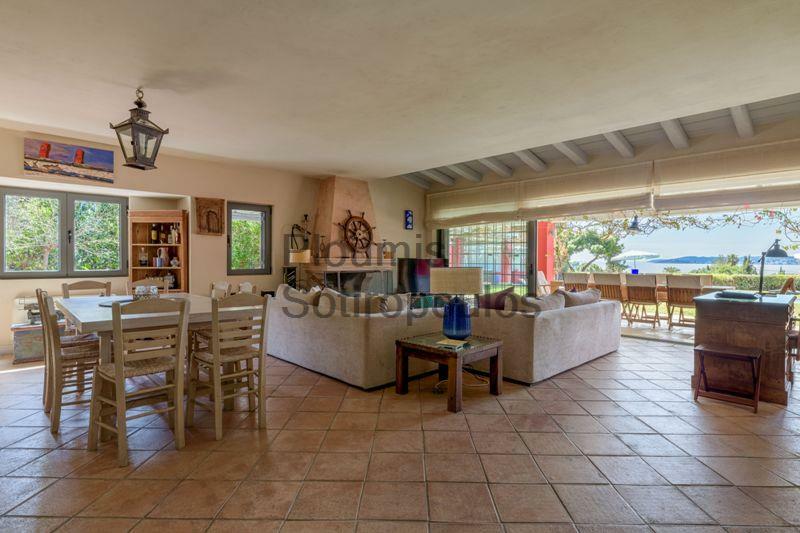 The ground floor measures 130m² and features a large living room with an oversized fireplace, a dining room, a study, a fully-equipped kitchen, a wc for guests, and two bedrooms with ensuite bathrooms. The reception areas open to beautifully landscaped gardens of 2.500m² filled with colorful flowers, trees and a manicured lawn which provide a lovely setting for the swimming pool. 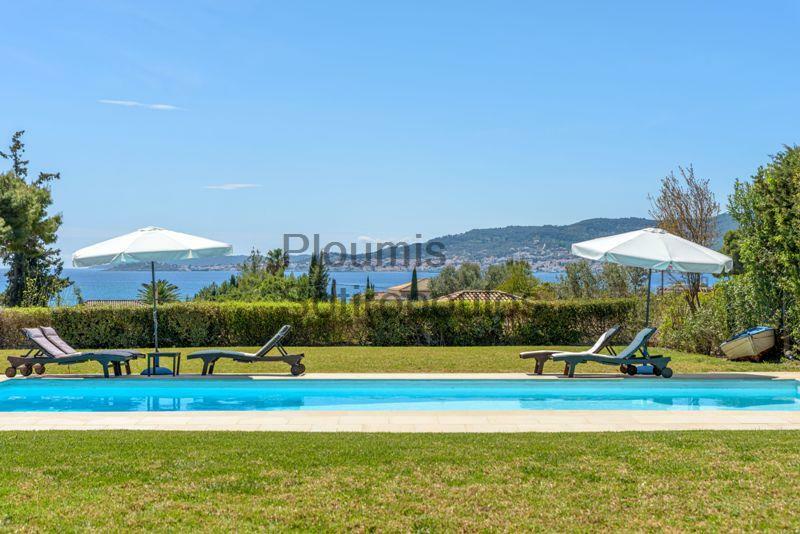 The views to the town of Spetses from the pool, the garden and the reception areas are a highlight of this property. 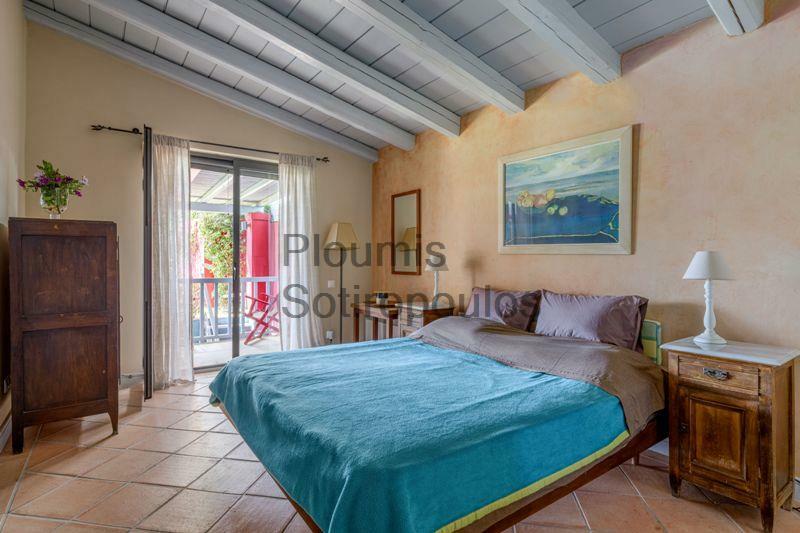 The upper level features a large bedroom with a bathroom and a private verandah, while the lower level offers three further bedrooms, each with a full bathroom, as well as a laundry room. In the garden there is a small soccer field used also for volleyball, basketball and other games, which might easily be converted to a tennis court. 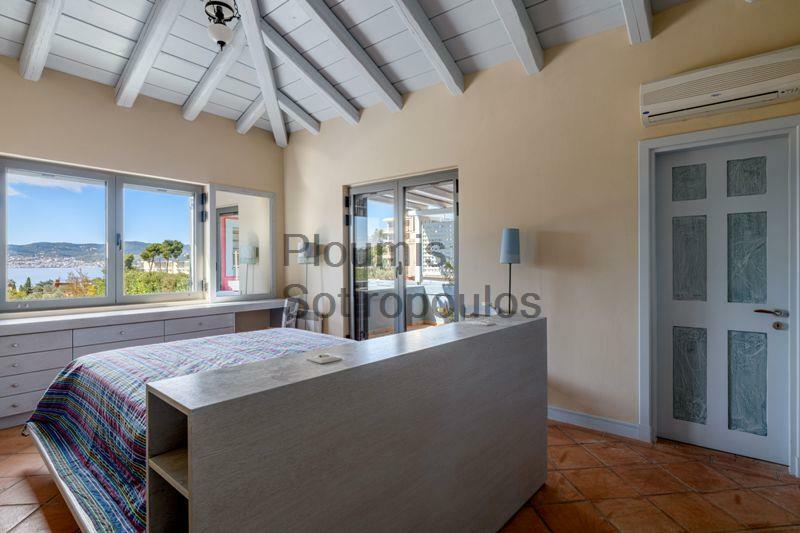 Other features include a pool bar, an outside shower, a changing room and wc by the pool, pergolas for the outside areas, air-conditioning, heating, an independent generator, and parking for 3 cars. A path leads to the beach of Kosta. 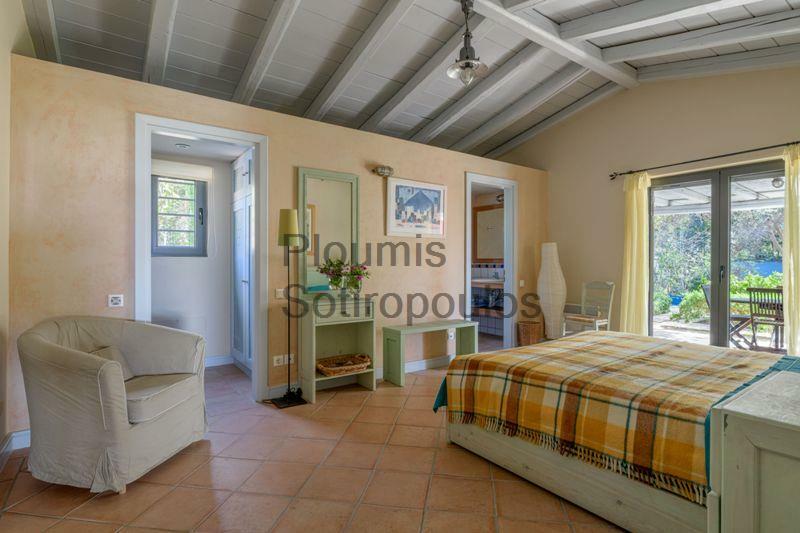 This is a rare opportunity to own a superbly designed property of this size and quality in one of the most exclusive areas of Greece.